Better keyboard alternatives are finally making their way onto iOS. Following last month’s arrival of SwiftKey's predictive keyboard on Apple’s mobile platform through a note taking app, Fleksy, which has been working on a similar end-run around Apple’s restrictions, has announced it is moving its SDK out of private beta for any and all developers who want to integrate the company’s gesture-based keyboard into their apps. 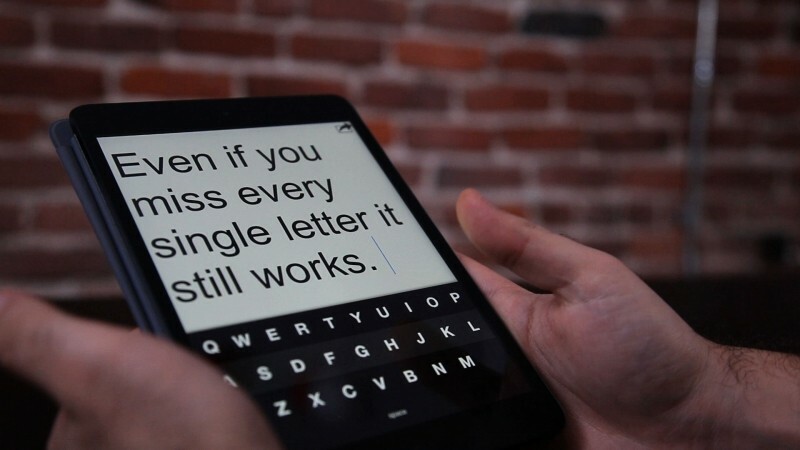 Unlike Android, iOS has never allowed third-party keyboards to take over as the default text entry method, forcing Apple’s rather spartan solution upon millions of iPhone users. The company isn’t likely to loosen its grip anytime soon but that may become less of an issue if developers start adopting these SDK based alternatives. Fleksy says that ensuring its keyboard can be integrated with minimum of effort or cost is essential for adoption. To that end the company has made the SDK free for any developer to use, no sign-up required, and furthermore claims they can add it to their apps without using a single line of code. “You drag our framework into your Xcode project, and we handle the rest automagically,” notes Fleksy COO and founder Ioannis Verdelis. Developers can still customize the looks of the keyboard for the sake of design, if they so choose. Even though the third-party keyboard has to be built into each app individually, settings, dictionaries and other options including color choices are shared across apps as users are required to have the standalone Fleksy app installed on their devices. Once installed users will notice a Fleksy option in compatible apps next to the “Cut, Copy, Paste” buttons that come up when you tap in any text field. All this puts an extra burden on users but it’s an unavoidable workaround and not a huge deal-breaker.